After the 7 hour ride from Lima, we arrive in Nazca with enough steam to walk to Pirwa Hostel. 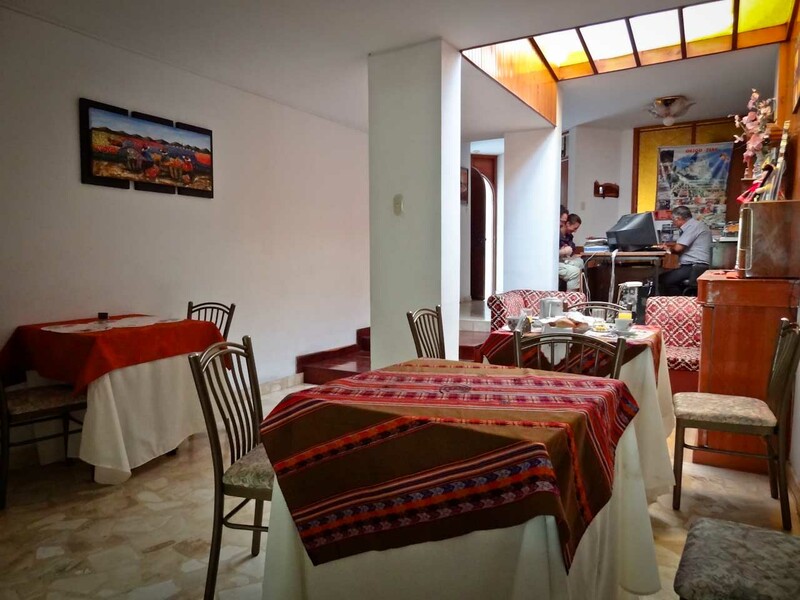 It does not take too long to navigate Nazca’s downtown area and with a little help along the way we quickly find our road, Avenida Maria Reich, just off the main square. The street itself is upside down, under renovations following a recent earthquake. Dust covers everything but luckily the works stop at the front door of our hostel where Fernando seemed to be waiting for us. In fact Fernando is often to be found at his front door. Very affable, he welcomes us warmly and takes us to our room. If the decoration is slightly antiquated, cozy like Grandma’s according to Jess, the place is quite comfortable. The bed is comfortable and the room even has a small den where the computer fits easily. This is all the better since the Wi-Fi reaches throughout the whole establishment and the only computer to be used is the one at the front desk. The common area is set around a small patio populated by birds. The dining area is inside. Overall, Hostel Pirwa has more the feel of a bed & breakfast than a communal hostel. This is obvious as well when looking for information. Everything revolves around Fernando who is full of guidance and can organize tours at your convenience. We took him on his offer to fly over the Nazca lines with Aeroparacas and he reiterated in the afternoon to go to Chauchilla Cemetery. Read Jess’ account of the Nazca lines and Chauchilla Cemetery. The price that he proposed for the Nazca lines with Aerocapas are correct: a $5 charge over the airline $95 price. The visit to the cemetery was unbeatable at 25 soles although obviously the guide was not so delighted with this last minute load. 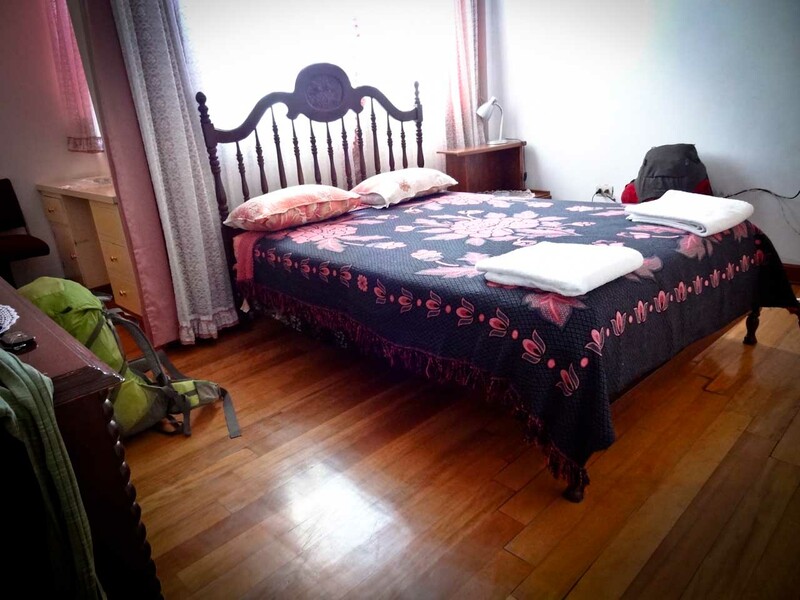 With a one night stay at Pirwa Hostel Nazca, Jess and I felt very comfortable and pampered by Fernando. The breakfast and advice was appreciated although if you are planning to do something on your own, you might want to look a little further.